At Grandon Village Dental Office, we provide comprehensive dental services for the entire family. From routine dental visits to procedures for kids and adults alike, our San Marcos dental practice offers quality services for everyone. Our treatments range from routine cleanings, to cosmetic and restorative procedures, all with the goal of improving your smile. We are committed to ensuring the oral health of your entire family in a caring, stress-free environment that you can trust. What Makes our Dental Care Special? 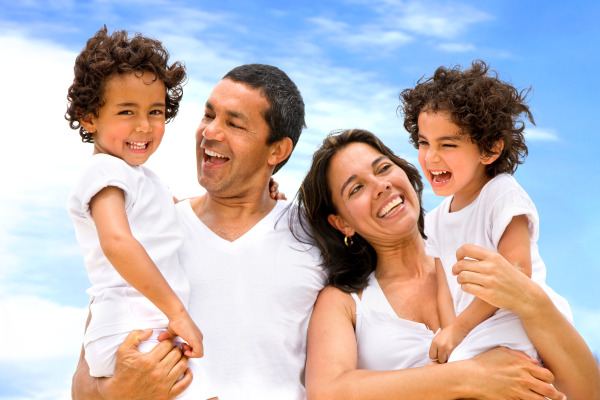 Our San Marcos dentists put your family’s dental needs first and strive to build trusting relationships. We maintain an environment that is free of anxiety, so even the most nervous patients can relax and get the care they deserve. As a general family dentist, we take the time to understand you. We make it a habit to know every patient’s medical history, and start each treatment plan starts with an in-depth conversation. We work with you to make sure your specific concerns are addressed, so you can leave our office with your best possible smile. Additionally, we can perform procedures in-house that would normally require a visit to a specialist, saving you time and money. When it comes to treatment your children, we have them covered from start to finish. Our San Marcos dentist provides pediatric services for developing teeth, as well as prevention and early detection. Treatment plans are created to mitigate potential problems. We also provide orthodontic services when necessary. If you’re looking for a general family dentist in San Marcos that will treat your family with dignity and respect, look no further than Grandon Village Dental Office. We are available for all of your general and family dental needs. Call us today at 760-683-8419 to schedule an appointment.